Often corporate activity days can be difficult to organise, especially if your company is very short on time. This is where quick DIY ice breaker activities come in handy! Ice breaker activities are brilliant as they enable the team to engage with each other on a personal level, which encourages development on their current relationship. Though your team may seem unproductive from a team building perspective, these short, sweet activities are sure to turn those frowns upside down and encourage everyone to make a continued effort to work together. One of the most popular ice breaker activities is one called white lie. In this game, you must go around the room and each individual person must say two truths and one lie about themselves, then the rest of the group have to guess which the lie is and which are truths. When everyone has decided, it will go to a majority vote and the person who gains the fewest votes for their lie will win the game. Though this game may sound like a game of deceit, you are in fact learning interesting facts about one other, and any one of those facts could stimulate a future conversation. You are also working as a team to distinguish which is the lie and which are the truths. If you have a large company then you could always break them into smaller groups, which will encourage communication within the group. This is a fun basic exercise with a competitive twist which everyone is sure to love. 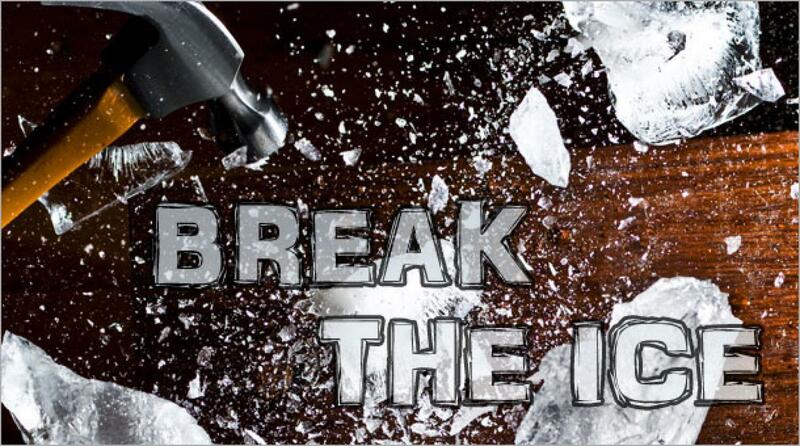 Stimulate team bonding within your company with short ice breaker activities.